Today was Day #6 of Chocolate and Toffee Theme Week, and Day #1 of Chocolate and Pistachio Theme Week. 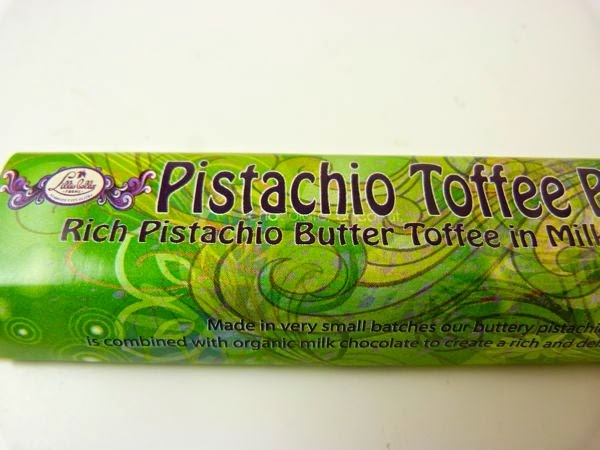 And what better bar to represent both of these themes than the Pistachio Toffee Bar from Lillie Belle Farms (Central Point, OR). 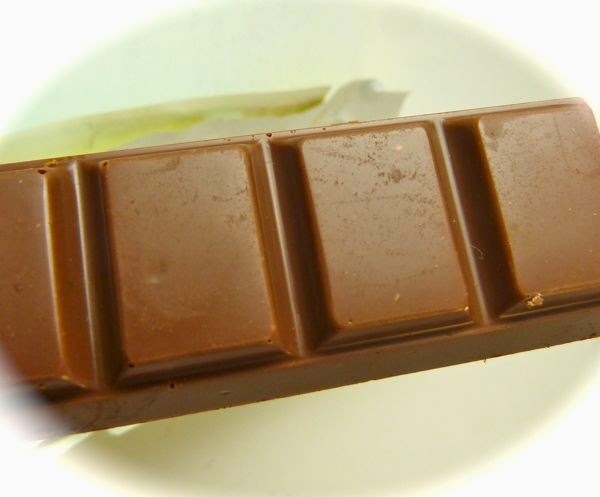 Organic, pistachio toffee bits were incorporated into 37% organic, single origin milk chocolate. A bit sweet and buttery for me. So smooth and melty, you could almost spread it on toast.